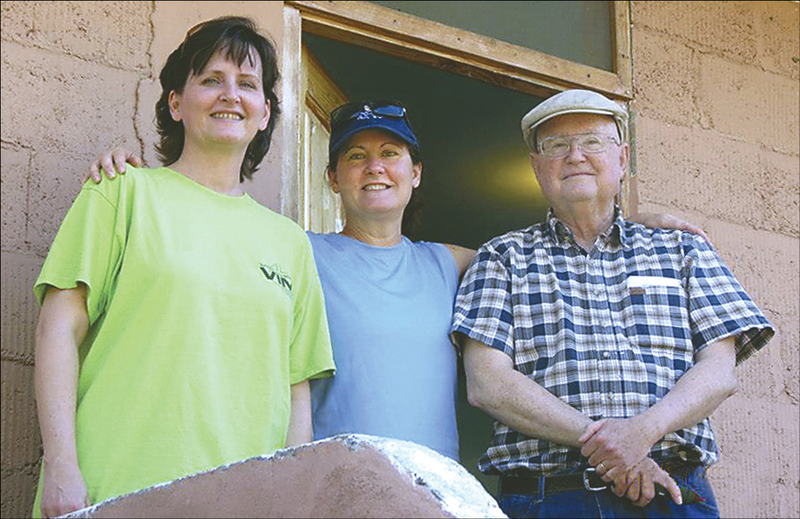 From left: sisters Karen Distefano and Katherine Yancey and their dad, Ed Ririe, serve together on a United Methodist volunteer mission team in 2013. Beginning in 1993, Ed Ririe of Bartlesville served on 27 United Methodist volunteer mission teams. He was serving on a team in southern Oklahoma, helping flood survivors, when he died suddenly Jan. 24. He loved helping people as an expression of his faith, his obituary states simply. The extent of that emerges in the rich remembrances of daughter Karen Distefano, who is Oklahoma Conference’s secretary of Global Ministries. Like father, like daughter. 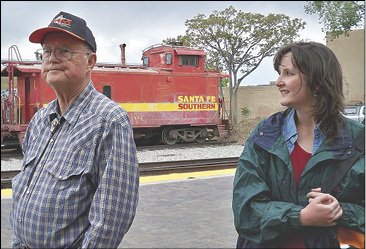 Karen served with her dad on many of those teams — on that 1993 project in Guatemala and as recently as last year, in Albuquerque, New Mexico. "Let me tell you about him," she posted on social media. "My sister, Katherine, and I learned a lot from him. We learned compassion for people in need, regardless of skin color, place of origin, religion, or race. We were strengthened in our faith." "My dad supported Vietnamese refugees during that incredible humanitarian crisis. He worked with indigenous peoples in Guatemala in the 1990s. He supported missionaries from China and the Democratic Republic of Congo. He helped a young Peruvian woman attend a Methodist seminary in her country. He worked alongside other Oklahomans in times of disaster." Home base for the family is Bartlesville, where Ed and Alice Ririe joined Oak Park UMC in the 1960s. A craft idea for Oak Park Church’s holiday bazaar led the couple to open a candle factory now known internationally as Keepsake Candles. Ed, who had a long career as an engineer, created the original candles. He liked to say the church bazaar project "got out of hand." Working in the family business gives Karen flexibility for church involvement, including in Conference leadership. Gary Holland, Oak Park’s treasurer, was serving on the volunteer disaster response team at Maysville when Ed died. "He was the tile cutter for our pretty well-known tiling team in the Oklahoma Conference," Holland shared online. "We have tiled churches in Dominican Republic and Honduras together, worked flooded homes, worked tornado areas, and construction in Mexico, Guatemala, and Chile. He was always willing to go and help those in need whether it be close by or even internationally." The Maysville mission was the first time Kevin Walker served alongside Ed, but he learned a lot about the man. Walker is on the Oklahoma Conference Disaster Response Ministry staff. During a break Jan. 24, they realized they were sitting in folding chairs that had belonged to Ed’s parents, and that sparked conversation. "It was a nice day," Walker said. "He died wearing a VIM denim shirt." Jean Abshire, Ed’s sister, was the team leader. James Bond took her place, and the group continued its mission. Their attitude was "Ed would have wanted us to complete the job," Walker said. Born in Tulsa, Ed grew up attending a United Methodist church at Redondo Beach, California —and the Smothers Brothers* were among his peers in the youth group, Karen said. While a single 20-something serving in the Air Force, he went to church every Sunday. Later as a parent in Bartlesville, "he always made sure us girls were in church," Karen said. She recalled growing up alongside the children of Vietnamese refugees whom her parents welcomed in 1975 in Bartlesville. They still keep in touch. "If even for just one day, look past walls, barriers, unkind words and actions, and just see people and places as part of God’s creation," Karen has requested when people have inquired how to help since her dad’s death. "Be open to new experiences, open to helping others, open to hearing and seeing all people as children of God and therefore worthy of respect and dignity. That’s what I’ll remember most about my dad." From Bartlesville, Ed Ririe and daughter Karen Distefano served together on many United Methodist volunteer missions. Train enthusiast Ririe also got to explore on side trips.